LEAF EXTRACT, PENTAFLUO- ROPROPANE, CURCUMA LONGA (TURMERIC) ROOT EXTRACT, STEARETH-20, HYDROLYZED HYALURONIC ACID, COLLOIDAL OATMEAL, HYDROLYZED SILK, CITRIC ACID, SODIUM BENZOATE, POTASSIUM SORBATE, ALOE BARBADENSIS LEAF EXTRACT, N-HYDROXYSUCCINIMIDE, HYDROLYZED COLLAGEN, CAPRYLHYDROXAMIC ACID, TOCOPHEROL, THIAMINE HCL, RIBOFLAVIN, RETINYL PALMITATE, PANTOTHENIC ACID, PALMITOYL OLIGOPEPTIDE, NIACIN, FOLIC ACID, CHRYSIN, CARNITINE HCL, BIOTIN, ASCORBIC ACID, PALMITOYL TETRAPEPTIDE-7, CHLORHEXIDINE DIGLUCO- NATE. MAY CONTAIN: IRON OXIDES (CI 77492, CI 77491, CI 77499). Formulated by leading plastic surgeons, this cutting-edge CC cream delivers flawless full coverage with the added benefits of an anti-aging serum, moisturizer, primer, and SPF 50 sunscreen. It’s clinically shown to cover, hydrate, correct, and protect—all in one step. Apply a smooth, even layer to face with fingers or a foundation brush, beginning with problem areas and blending out towards the hairline for a natural, even finish. SPF 50, full coverage and needs to be set with a finishing powder! This is a great CC cream, with awesome ingredients and a high SPF that doesn't flash back! It's easy to use, but also easy to over use! A little goes a long way and I find that on me I like it best when I use a beauty blender and sheer it out a little. Also it really needs to be set with a powder or else it transfers. 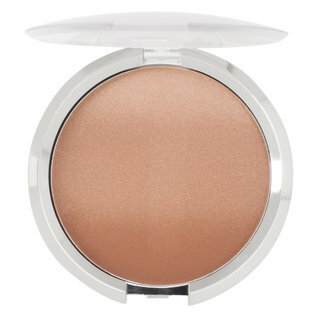 I like to set it with Cover FX illuminating loose powder and can get an all day no break down wear out of it. I like that it doesn't settle into fine lines and as the day goes on I feel like it looks so natural as it melts into the skin. My only complaint is the shade range is pretty limited. In this day and age of beauty I think that it's crucial to have a global shade range and I hope IT gets up to speed with that. Makeup is all about illusion. We are creating the look of great skin, of light and glow. The older you get, the more illusion you need! At this point, I need so much illusion that even David Copperfield would struggle. I’d heard great things about this CC crème, so I was happy to try it. I got it in medium, which was the perfect color for me. I’m strange about my new products – I always like to do a half face first, to see how much it improves my skin and to see where it might be going wrong. When I first got the IT cosmetics CC crème I first dotted it under my eye area, then around the right half of my face. I just patted it in with my fingers, leaving a line right down the center of my face. I like to use fingers for foundation anyway, to warm it up. I stepped back to look and Whoa! On the right, my undereye circle was gone. My red acne marks had disappeared. Most impressively, the product hadn’t settled into my “fine lines” or even the grand canyon wrinkles. My skin looked smooth and healthy. I could see no fails where my skin looked better anywhere without it. I was seriously impressed. So, I did the left. It is a full coverage foundation so you need to be careful with application, but it doesn’t look cakey or clotted or dry at all. When on, it feels like your face, not like you have covered it up. The SPF of 50 is a plus. I grew up in the 70s where we tanned every day and I’m seeing the effects now, so I try to prevent further damage. If you are trying to create the illusion of vibrancy and health, then this CC crème is for you. It is now my daily foundation and I'm a user for life. It gave me amazing coverage, didn't break my skin out and it mixes well with any other foundations for added coverage or to alter the finish! !sooo in love with the consistency and I highly recommend it to all skin types! CC Cream of the future! We already know that CC Creams have come a long way since the original BB and CC Creams from Korea. Not only does this formula color correct, but gives full coverage with a beautiful skin-like finish and is super easy to apply. I prefer their Heavenly Luxe Complexion Perfection brush to buff it out and get almost an airbrushed finish but can also see a beautyblender giving a flawless application. Never looks mask-like; you can barely tell it's even makeup. While I must agree with Trisha W. that the shade range could be wider, with how innovative this CC Cream is in using Titanium and Zinc Oxides which have historically had a white cast to them, this will go far in both the foundation and skin care worlds. Tip: For those in-between shades or darker than Rich, the darkest shade currently in the range (close to MAC NC60), use the Cover FX Custom Cover Drops to adjust the shade and have all of the above mentioned benefits. I have tried my fair share of BB, CC, DD (the conjoined alphabet continues...) creams and the IT Cosmetics CC is definitely on my top three. 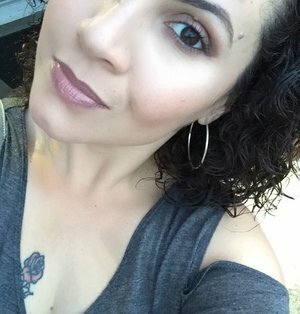 I have a natural golden undertone and it's hard to find a foundation in the US that suits my color; Everything is either too pink or too neutral. The IT YSBB CC+ cream fits my skin tone perfectly and gives me that healthy skin glow that I adored from my Korean cosmetic alternatives. The coverage on me is a true medium and I love the fact that it has a broad spectrum SPF of 50+ for those days when i'm too lazy to apply my sunscreen (guilty!) The longevity of the product is about 12 hours before I start to see a little breakdown around my nose and forehead. I have oily/ combo skin so this is common for all foundations/ creams on me. To combat this, I would set the CC cream with my RCMA 'No color' powder and a flat top kabuki and i'm set! A product worth trying for anyone looking a quick and easy application with a flawless finish. I have finally used this for two weeks now. It is amazing! There are no other words! I think I found a new favorite brand after receiving all of my IT products! 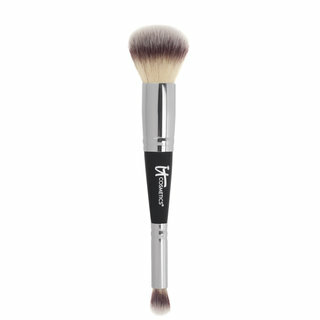 My god, the texture is thick but you seriously need a tiny few dots placed on your face and buff it out with the Heavenly Luxe Brush! It gave me a flawless finish! Smooth and no fine lines were visible. I thought the shade Medium would be too dark but I applied more than needed. Once I scaled back on the amount it was perfect! This will last me a long time. The picture is no flash and during daytime hours . Tricky to apply, But wears great! 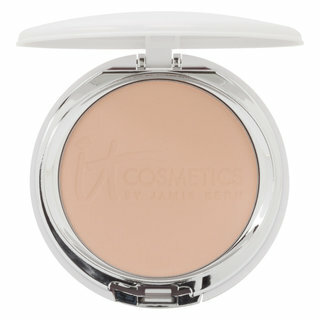 Although listed as a CC Cream this goes on and applies like a traditional creamy liquid foundation. The coverage is a solid medium and can be built up a tad from there. What I didn't like about it was the application process. I did not like how this went on with a brush at all (paddle foundation brush, buffing, etc) and with a beauty blender it sheered out the coverage and soaked up a lot of the product. This base product is best applied with your fingertips in patting motions until it blends away or smoothing it into the skin. I like that the coverage is good but still natural in face to face contact. I have noticed flash back in photography from this so I would only recommend it for daytime use only! I'm a bit hesitant when it comes to CC creams and products that promise a bunch of things in one, but this foundation is spectacular! Lets start with the ingredients...so many great oils in this one that your skin will love! The lemon scent is very pleasing and refreshing. Hyaluronic acid to keep the skin hydrated (my personal favorite hydrator). And for my favorite SPF 50! Boom! Not only a high SPF but also a physical sunscreen only that means this will be great for sensitive peeps too! The coverage is medium for me and tricky to build up. I did NOT like using this with a Beauty Blender as it soaked up most of the product. It applies best with their flat complexion brush or with your fingers. The product comes out kind of grayish but when blended in, its a perfect match. It gives my skin the perfect amount of glow, but on oily skin you might have to powder a bit. I hope they come out with more shades, because sometimes it's tricky finding the right shade. 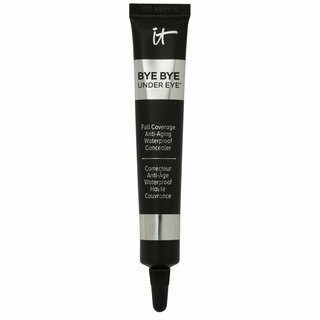 Overall, I love this product for summer because it's lightweight and has a great SPF! It has a very nice coverage, and a super high SPF of 50+ which I love. I am all about coverage, and although it's not a foundation, it definitely blends perfectly with my skin. I can hardly notice that I put it on, that's how well it's placed. I have to say it's done it's job, and I am impressed. Now I understand why IT cosmetics sold more than 30,000 units of this product on television! I didn't want to believe the hype, but after trying it, I must admit, it is a wonderful product. My all time favorite BB cream has been MAC- especially the new illuminating cream with Vitamin C; however, this one actually rivals MAC. It is equally as good. I like that the product has a SPF of 50, which is excellent. It has great 'buildable' coverage that gives you a fresh dewy glow. 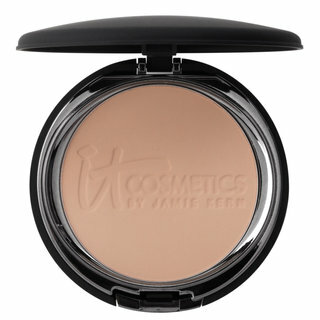 It is so natural looking that you could wear it as a stand alone for those days you want just a little coverage. 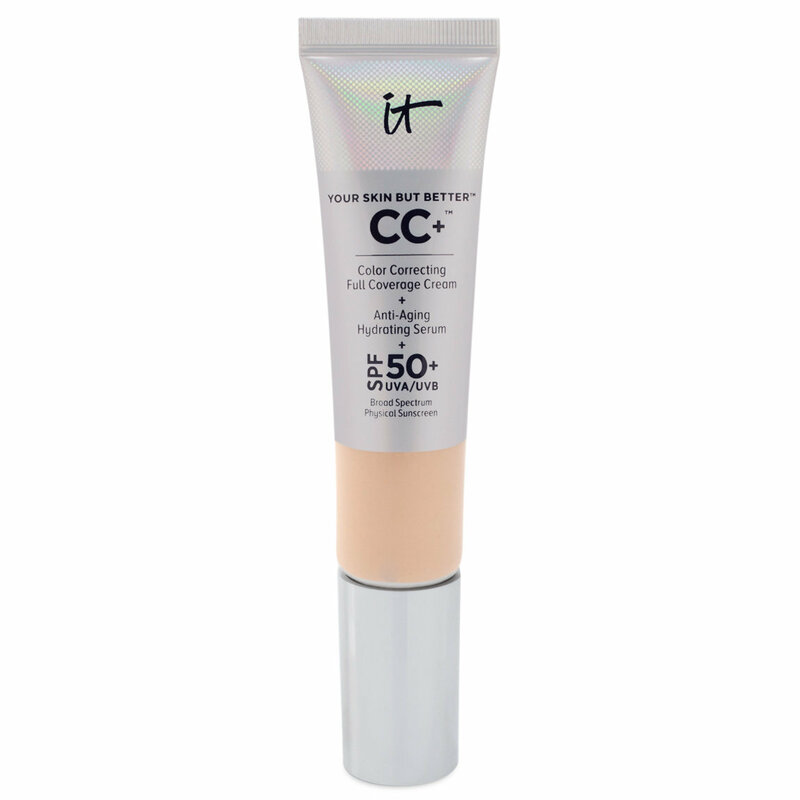 However if you want airbrush flawless, use the CC cream with a dusting of Bye Bye Pores Loose Powder (OR use IT Celebration Foundation) and then set the look with a mist. AMAZING! My only challenge with the product is that it is limited in it's color range. For those women who fall between Tan and Rich (like myself), you have to improvise by mixing to get the right color match. Please develop a Medium Tan shade to complement the line!